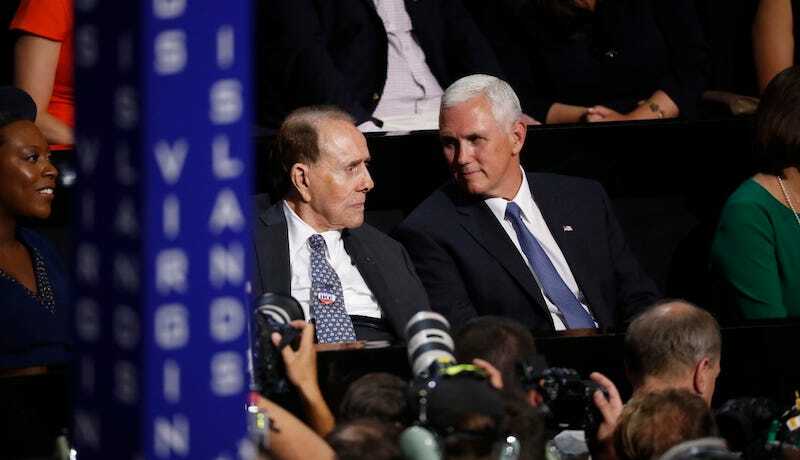 Bob Dole played an instrumental role in securing the phone call between Donald Trump and Taiwanese President Tsai Ing-wen last week, a privilege for which the Taiwanese government paid at least $140,000. Earlier this year, Dole set up a meeting between Taiwan’s representative to the U.S., Stanley Kao, and Alabama Sen. Jeff Sessions, a key Trump adviser and later his choice for attorney general. He also convened a meeting between Taiwanese diplomats and the Trump transition team. The disclosure didn’t specify exactly when the meetings occurred. For these privileges, the disclosure obtained by Politico shows, the maybe-maybe-not country’s government paid Dole and his law firm, Alston & Bird, $140,000 over the course of five months. Of course, Dole can’t be blamed for the whole thing—Trump has a significant business interest in Taiwan, where representatives from the Trump Organization met in September to discuss investment properties. Eric Trump—the tall one—is also expected to take meetings there sometime next year.